The new block is pretty perfunctory on the whole. It’s river frontage is as conservative and plain as you can get. 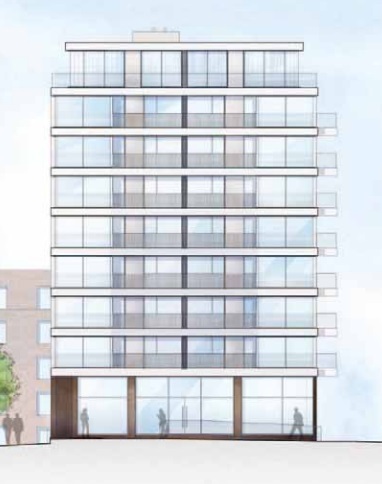 I’m not keen on the horizontal bands, and with this and grey cladding it puts me in mind of Lovells Wharf, or ‘River Gardens’, just along the river. A great deal of recent riverside developments in Greenwich are dull at best. 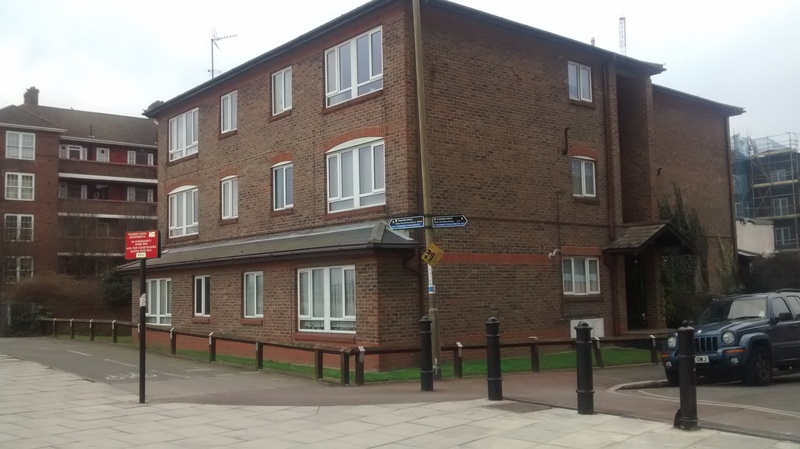 The 10 storey block facing the river becomes six storeys to the rear facing Thames Street. This section is beside the former Old Loyal Britons pub, which recently saw its landlord evicted despite the work put in the rejuvenate the pub. I’m unsure if that is connected to this scheme in any way. There are plans for just two disabled car parking spaces which is likely to place more pressure on surrounding streets unless permits and enforcement are tightly controlled. The affordable housing percentage is 44%. London & Quadrant are behind this application. One of the best features in this proposal is the ground floor treatment. 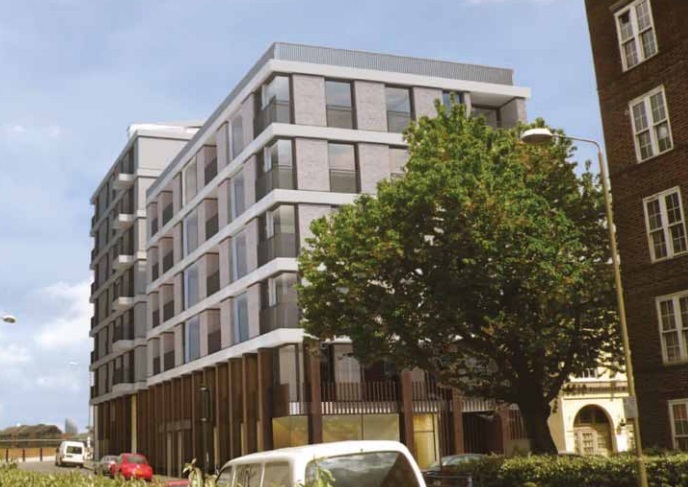 Warmer colour tones are used and ground floor commercial unit frontages appear double height. This is far better than a single storey ground floor appearance which usually makes a building appear unbalanced, with the mass of the structure above bearing down on squat ground floor units. Going back to the grey cladding, which the building uses a fair bit of alongside nearby developments such as New Capital Quay and Lovells Wharf. What is it with UK developers and their love of grey? It often looks miserable. Grey cladding alongside windows reflecting a normally grey sky. It doesn’t often lift the spirits. 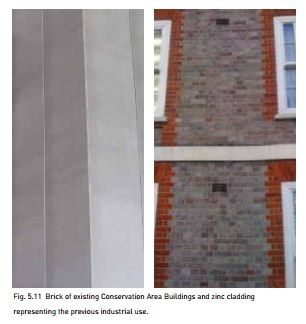 The developers amusingly state here that using grey relates to former industrial uses. Right. Those industrial uses that havn’t been seen here for about 50 years? More info can be found by searching for planning reference 14/1775/F by clicking here. 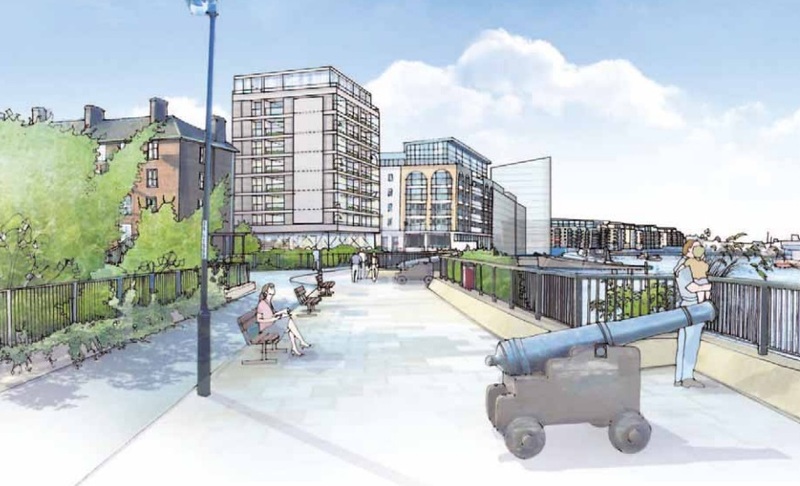 At the same meeting, plans for 52 flats at Artillery Quay in Woolwich were approved. I wrote about that in a recent post which can be seen here. Hello, how can I contact you about a planning application you might be interested in hearing about?